As a bonus to Episode 20 on Atrial Fibrillation, we present here, Dr. Clare Atzema, a leading EM researcher in Atrial Fibrillation, telling her Best Case Ever related to Afib. What would you do if you needed to cardiovert a patient who was too obese to fit on an ED stretcher? 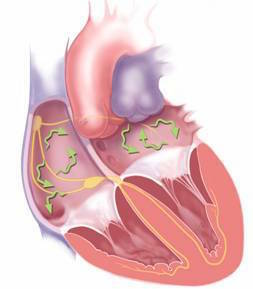 Dr. Atzema, along with Dr. Nazanin Meshkat and Dr. Bryan Au, discuss the presentation, etiology, precipitants, management and disposition of Atrial Fibrillation in the Emergency Department. The pros and cons of rate vs rhythm control are debated, what you need to know about Afib medications, and the value of the Ottawa Aggressive Protocol discussed. The importance of appropriate anticoagulation is detailed, with a review of the CHADS-VASc score and whether to use anticogulants or ASA for stroke prevention for patients with Afib. We end off with a discussion on how to recognize and treat Wolff-Parkinson-White syndrome in the setting of Atrial Fibrillation.